What a great time of year it is for flowers! Here in Australia, both natives and exotics are giving us a lovely display. 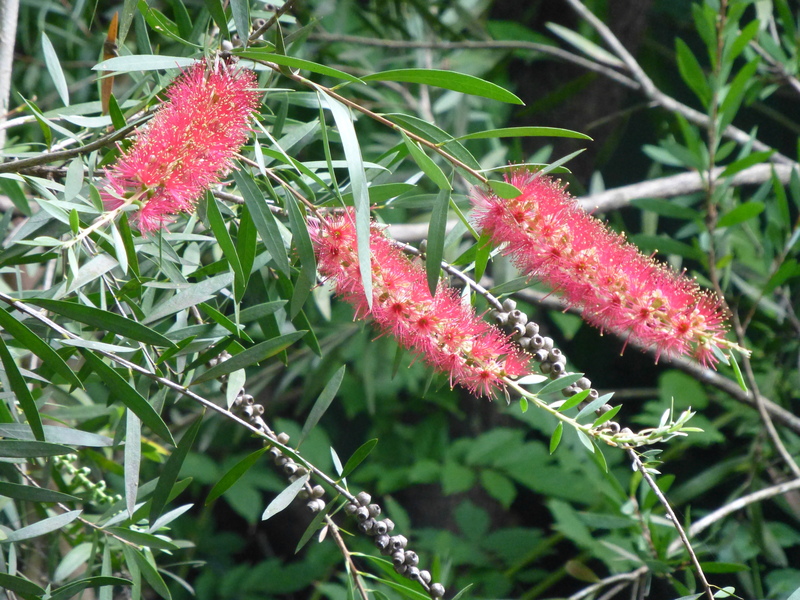 This is one of my favourite natives: Bottlebrush. There are quite hardy, and often used as street trees in Sydney. 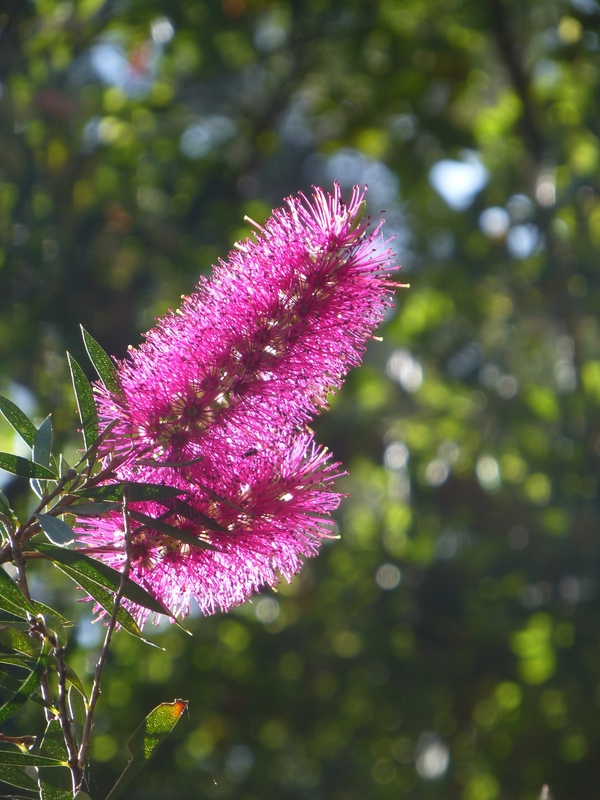 For years I tried and failed to grow a Bottlebrush. For whatever reason–poor choice of location, wrong time of planting, adverse weather or unwise depth of planting to name but a few — all my efforts met with failure. At last, Lady Luck smiled upon me and I have successfully grown four lovely specimens in our backyard. Some flower several times a year and attract our wonderful native birds. Living in suburban Sydney certainly has its upside! Australia is blessed with many delightful plants. 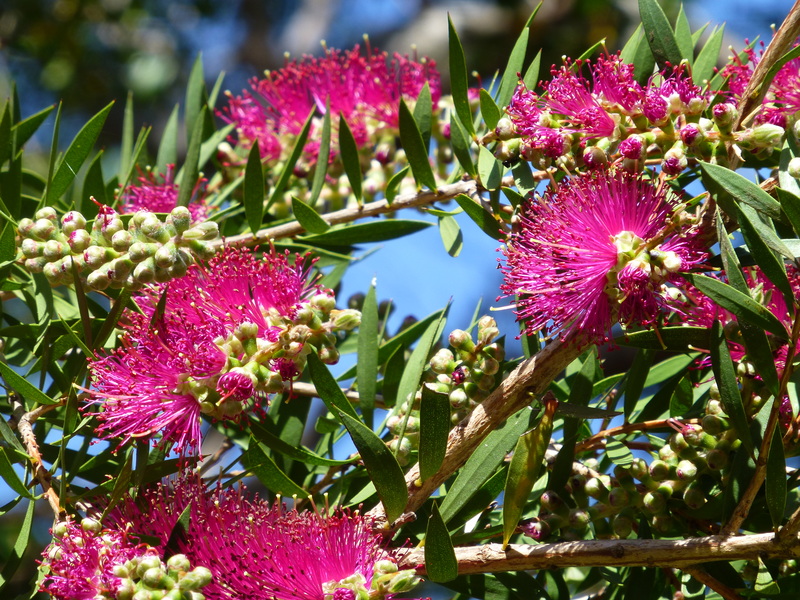 One of my favourites is the hardy Bottlebrush. This one is growing in our yard. A bonus is its irresistible attraction to native birds such as Wattlebirds. My day is often brightened by the dual delight of seeing both these lovely flowers and their feathery visitors. 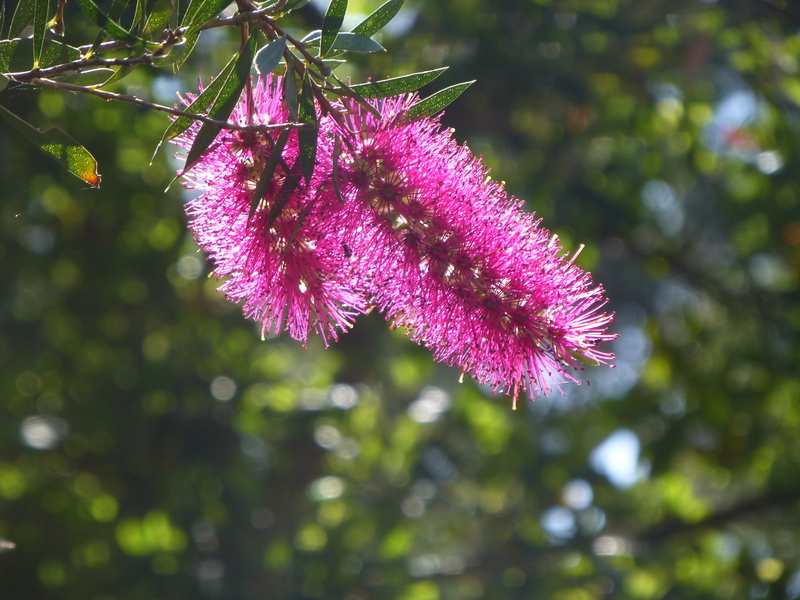 Do you love the Bottlebrush? Not only are they spectacularly beautiful in form and colour, they also attract delightful native birds such as parrots. We’re lucky enough to have a few growing in our backyard. What a joy it is to watch the play of light on their pinky-red flowers!